UPDATE: Masks are allowed as long as they don’t obstruct your vision and your eyes are visible at all times. Alright, all-nighters – it’s time to get your game plan in order if you’re lining up in advance for this week’s Rock Your Disney Side 24-Hour event. 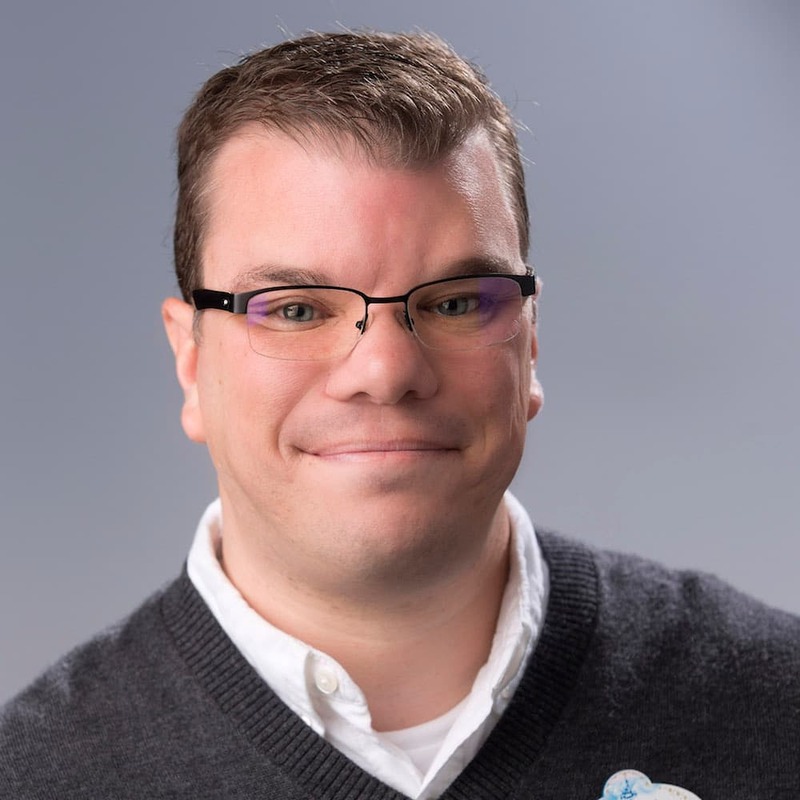 Whether this is your first time in line or you’re an old pro – waiting overnight for One More Disney Day or the Monstrous Summer All-Nighter – listen up! I’ve got some important details you need to know. Costumes are allowed, but they cannot cover your face your vision cannot be obstructed and your eyes must be visible at all times. Costumes must follow the guidelines listed here. Disneyland, I see we are allowed to take chairs, but must return them to your car by 3am. How about for those people who like myself cannot stand for hours and will be either dropped off or commuting by bus? Will we be allowed to take in our foldable/camping/compact chair into the park? Being that there will be no place for us to go put it. Hello, can anyone please tell me what the “camp out” turn out was last year? Or how soon the exclusive giveaway(s) ran out last year? I live in Los Angeles and my group isn’t willing to camp out. Does anyone think we will miss the lanyard if we arrive at 4am? Thank you in advance. Will the lockers be available starting at midnight on the 23rd until the end of the event at 6am on the 24th? And if so, will it be a one time fee for the entire event (23rd-24th)? Lockers will be available beginning at 4:15 a.m. on May 23, and rental is valid until 7 a.m. on May 24. Hi, I’ll need to rent a scooter that morning. Will there be a separate line? Stroller, wheelchair and ECV rentals will be open by 5:30. You can access the rental location after passing the Security checkpoint and entering the Esplanade. Is there information about what time the monorail/ferry boat will begin operation to the Magic Kingdom from the TTC on the 23rd??? Thanks for the info! I’m looking forward to camping out again. What time will the Simba parking lot be opened? Will it open right at midnight, or a few minutes beforehand so that we can walk through Downtown Disney and get in line at midnight? Theresa – The Simba lot will remain open following its regular operation Thursday night. So you should be able to park there in time to line up at midnight. Is there realy that many people? What have I gotten my self into? lol!!! Is there a time that might be best to arrive at if we dont plan on camping in line? I hope to be there by 6am, but wonder if lines will be shorter after the 1st wave of people get in. Amazing! Will there be a similar system in place at the Walt Disney World resort (i.e. start lining up at 3am)? My friend and I are hoping to complete a series of tasks in all Disney parks that day (yep, WDW and Disneyland!) and so we’re neck deep in strategizing! Thanks! Can’t wait! This is our first time to a 24 hour event. It seems each increasing year it becomes more popular. Will this event be like New Years where you can’t leave either park due to not being able to get back in? We would like to experience both parks throughout the night and if need be go back to the hotel. Thanks! I understand that, but isn’t it also true that such passes wouldn’t be valid if guests wanted to enter after midnight but before 6 AM on the 24th? That is correct – entry after midnight is still considered part of the May 23 operating day. So the So Cal Select pass is not valid for entry between the hours of 12 – 6 a.m. on May 24. Good morning Erin! Can one person of the family be in line/camp out and the rest join in prior to the escorting of the esplanade area at 3am? Fun video and love the dancing!! Thank you for everything. My friend has a socal select pass, can he be able to attend if he purchases a blackout ticket? and how much would the blackout ticket be if he is able to purchase it? I was wondering if this will be an annual thing? Not sure I can make it this year but would like to attend in the future. Aw that was a fun video. And a big shout out to the brave souls who are camping out! I guess this might be a dumb question but i have never been to this event and was going to go but now i’m concerned that the park maybe too crowded!! !Can someone give me any advise they have from last year??? ?Please and thank you!!!!! This will be my families first time at the 24 hour event. Are there restrictions on entering and leaving the park during the event? 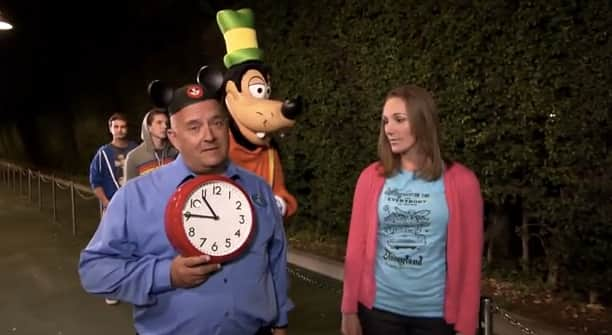 For instance if we entered at 5 am on the 23rd could we leave mid day and then reenter the park at around 8 pm to continue until the morning of the 24th? Oh my gosh, I’m getting goosebumps just reading this post. I so wish I could be there. I’d wear my Mickey Mouse pj’s for sure if I was there. Have fun Erin, I cannot wait to hear all about it. Circumstances will not allow me to get to the park until at least 9AM. Can you enter at anytime between 6am on 5/23 and 6am on 5/24? I don’t think my 8yr old can last 24 hrs..
I’ll be there, bright and early! So EXCITED! I do have a question though: Will guests that wish to return at 9am on Saturday have to leave the parking lot that they were parked in during the 24 hour event? Or can guests just exit the park and wait somewhere? REALLY interested in knowing how parking works for these 24 hour events. Thanks in advance! What a trooper you are, Marisol! 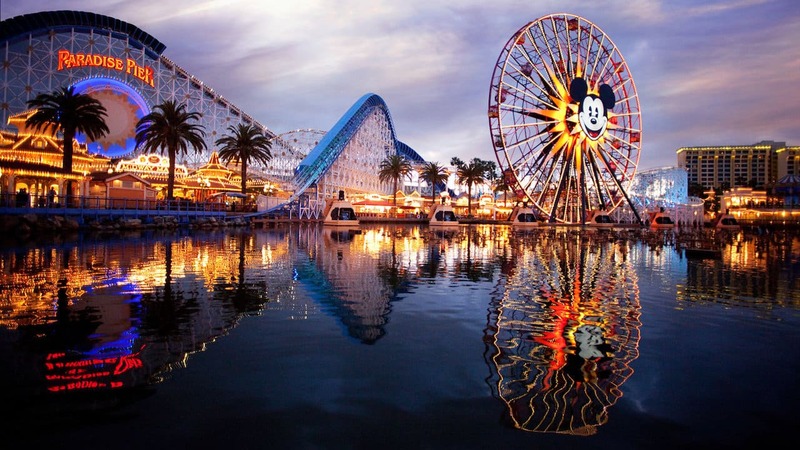 Disneyland Resort guests who are parked at the Anaheim Convention Center or Anaheim GardenWalk will need to move their cars, but those parked in a Disneyland Resort lot will not. Disneyland Resort security will be with you all night in the esplanade. At 3 AM, Disneyland Resort security will lead you into the esplanade. One of these sentences is not like the other (and vice versa). They will be present all night and then lead guests into the Esplanade at 3 am. Sorry for any confusion.